Disasters can happen anywhere when there is wrong leadership. 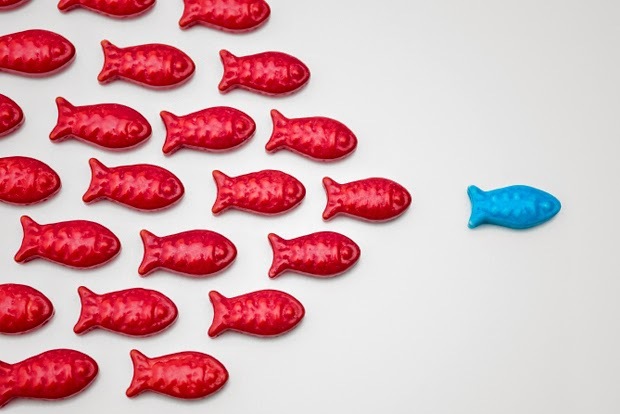 A State, a society or an organization cannot progress or function effectively without right-thinking leaders who can inspire, educate and connect with the masses, which also makes it crucial for the rest to know how to determine who is the right leader. Sosangmar, a 2nd Semester student writes about the differences between a true leader and a boss. “Who is the Boss?” If you happen to ask this question to a Nazi during the 2nd world war era definitely there will come the answer “The Fuhrer” (Hitler). The same question to the Russian, “Stalin”; to the fascists, “Mussolini” and to the communist’s china “Mao Tse-Tung”. However, that bossism era is long gone and the modern era is now what is referred to as the ‘Leadership era’ synchronizing with ‘boss’. Nonetheless, Hitler was driven by Nietzsche’s philosophy of “the will to power” and “the death of god” while the Russian was motivated by Karl Marx’s “from every man according to his ability to every man according to his needs” only to be followed by more denser philosophy like Hegel’s, Hobbes’, Rousseau’s etc.. However, most of their philosophy emerged through conflicts and revolutions. As long as we are concerned, we are sure Nagas are not engulfed by any of these ideologies and Nagaland is believed to be a place where it is said to have found the purest democracy. To steal some words from Karl, I want to express it by a phrase like ‘from every man according to his instinct to every man according to his duty’. We Nagas are unique in various ways than most other people. However, like a firefly in the midst of the darkness, we can clearly see a very mind twisting word that is spelled awkwardly as “Boss”. Our society is at the brink of tearing to pieces by failing to differentiate between a ‘Leader’ and a ‘Boss’. We also have another wonderful word which can hypnotise people and it is spelled as ‘Great’, which by mentioning it, can easily lure sensitive minds into an abyss of perplexed mindset where they are forced to wear black goggles inside their SUVs and ignore the one who put them inside those wheels. ‘Leader’ and ‘Boss’ carries a very different meaning to each other but has the same appearance. One is a sheep while the other is a ravening wolf clothed in sheep’s skin. Whatever the case maybe, If we are given the freedom to scrutinise our leaders, I am afraid there will be many ‘bosses’ with flat fangs, who in their quest for ‘greatness’ have every possible chance to fall down from the height and land as a brown stain in the mattress rather than ‘leaders’ who work with honesty and with pure nationalism contributing toward the development of our nation. This leadership quality doesn’t just apply to our political leaders only but also to those people who were given a ‘responsibility presented in opportunity’ whether it be in school, college, student bodies, various societies and NGOs, etc. We must feel proud to be one among many. Let us take pride in who we are but sometimes life is not all about who we are, it also means the One behind our back that defines who we really are. A leader is a follower of Christ. If your vision is Christ-centred, we really are in need of a God fearing person who can bring a change to our degrading society. George Washington, the 1st president of America, prayed every night at 9 O’clock. Abraham Lincoln proclaimed a one day fast for the entire Americans. Nonetheless, Joseph was a dreamer; Moses was short tempered, David, a shepherd, Esther was a captive in Babylon, Daniel and his friends were just another four ordinary young men and you all know they were the one who rocked histories. Jesus’s disciples were also once a rookies like you and me but He was right when he said “For he who is least among you all will be great”, and they were the ones who spread the gospel all over the world. God does not play dice. When He says ‘The least is the greatest’, He meant it. Take Edison and Einstein for instance. They were branded unfit to learn. Joe Satrini, who was kicked out of his band by his manager for not maintaining appropriate hair; but without hair or not, he sold millions of his debut album; 14 presidents of USA came from ordinary family; John Adams, Martin Van Buren, Harry S. Truman, Lyndon B. Johnson and Jimmy Carter were all sons of farmers; Andrew Jackson was the son of immigrant from Ireland; Milliard Fillmore was born in a small farm; Abraham Lincoln was the son of a carpenter; Ulysses S Gr ant,- son of a tanner; James A Garfield, born in a log cabin in a small farm; Calvin Coolidge, son of a store keeper; Herbert Hoover, son of a blacksmith; Dwight D Eisenhower, son of a mechanic and Barack Obama, a black man; Also not to forget our former president APJ Abdul Kalam, son of a fisherman. All these people are great leaders. I am reminded of a quote from my classmate notebook “Great leaders don’t do different things, they do things differently”. They were all ordinary men but they set their priorities right and if we, the Nagas in general and students in particular, could just humble ourselves by being pulled down to the earth, I am sure God will raise us to a height we could never imagine even in our dreams. After all, dreams do happen and the vessel of our life does change its course. Hope for the better but keep the hope alive in Christ.